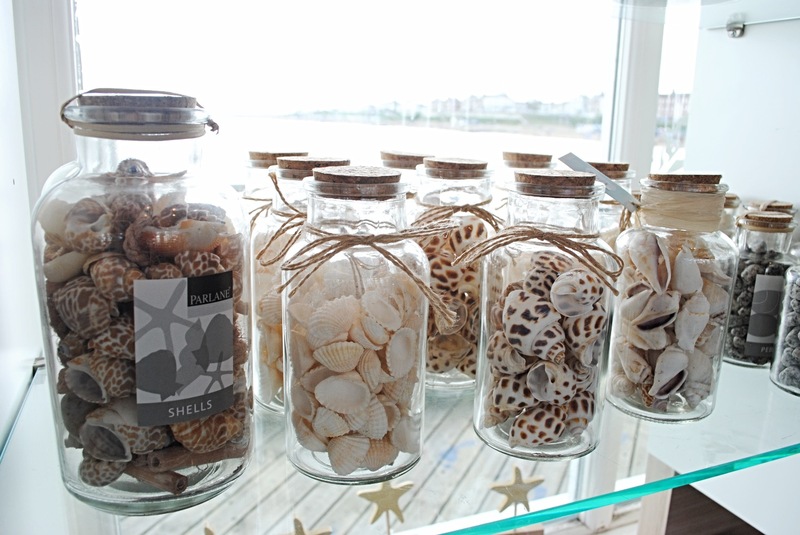 Having spent a lot of my childhood travelling up the coast from Essex, I have fond memories of Norfolk and Suffolk. 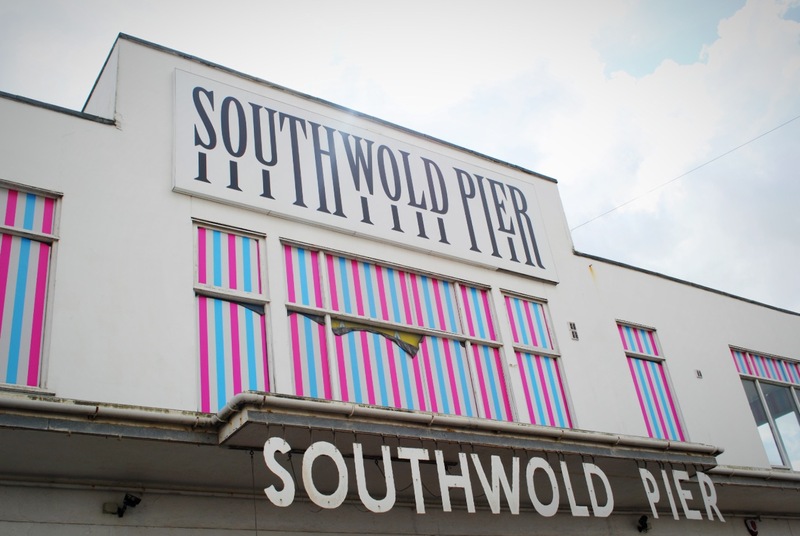 So when talk of a weekend in Southwold arose – I was more than excited! 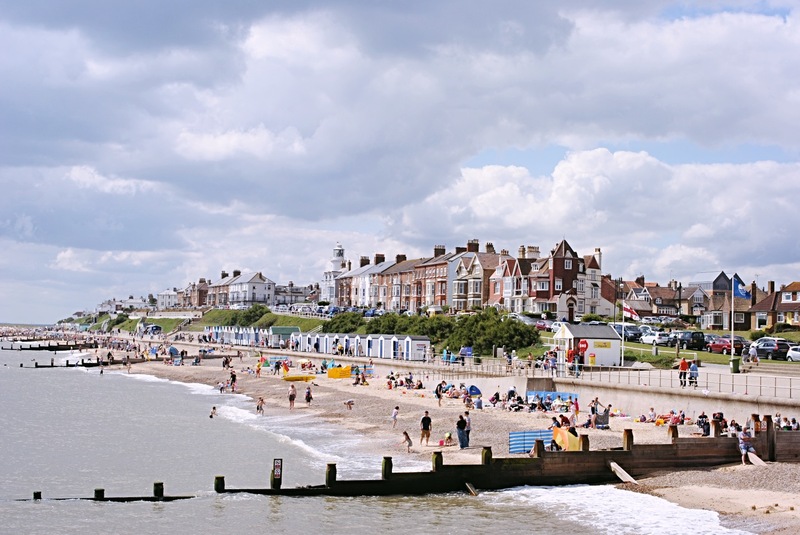 Southwold is about an hour away from mine, but the scenery and landscape are so different you feel like you’ve stepped into a pretty postcard! 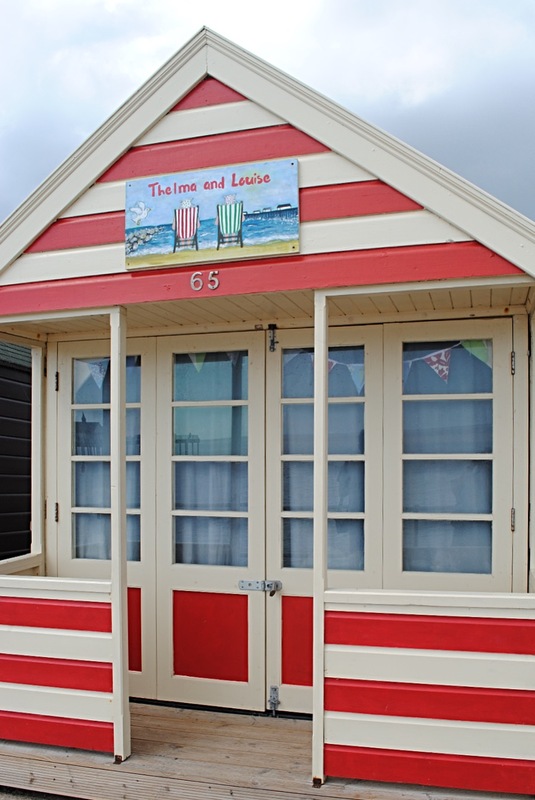 Southwold is your archetypal British seaside town; think brightly coloured beach huts, ice cream stalls, tourist shops and the ominous calls of seagulls circling ahead, waiting to swoop down and steal some innocent child’s chips. 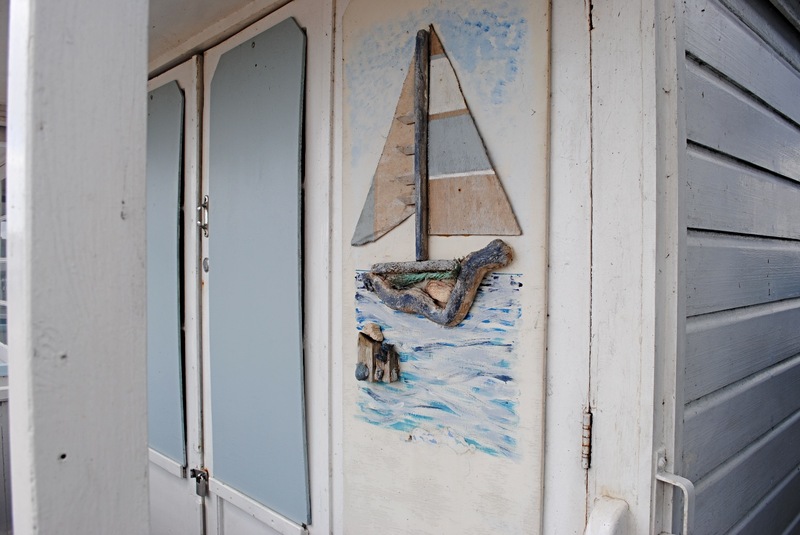 We wandered past the beach huts first, taking in the pretty pastel colours and nodding our heads in respect to the brave ones who were sitting out in shorts, despite the good old British wind doing its thing and blowing with full force. 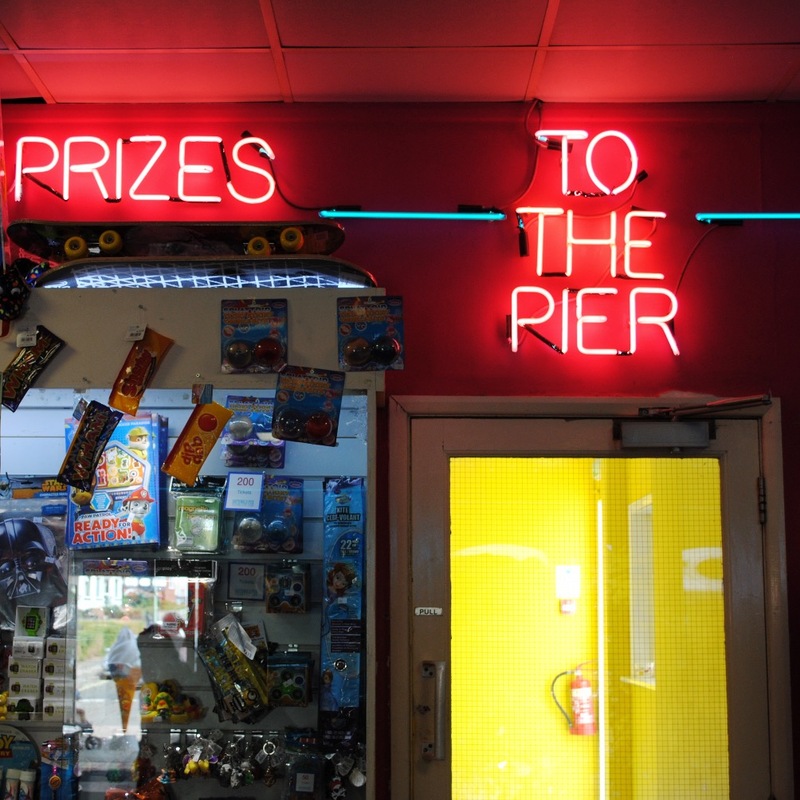 Next we made our way onto the buzzing pier bursting with penny machines, cute shops and a whole host of retro arcade games. 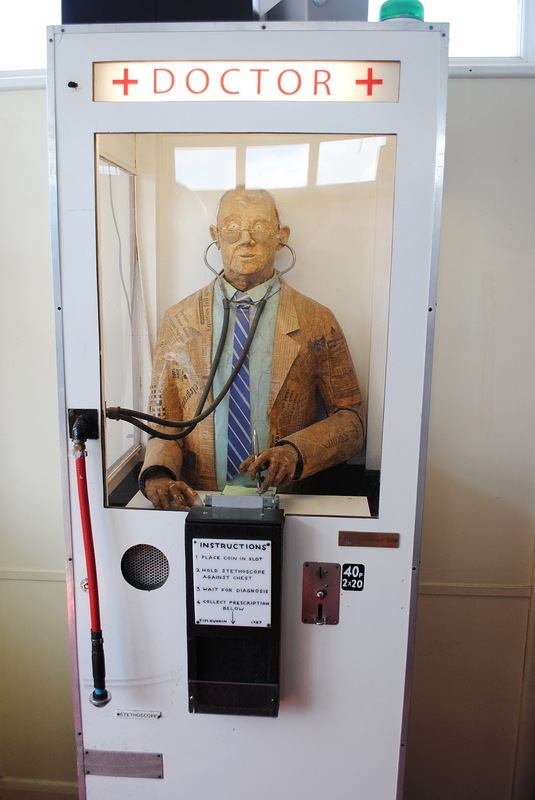 They’re the stuff nightmares are made of, but what more could you expect from a traditional pier?! How cute are the neon signs? Very Twin Peaks! 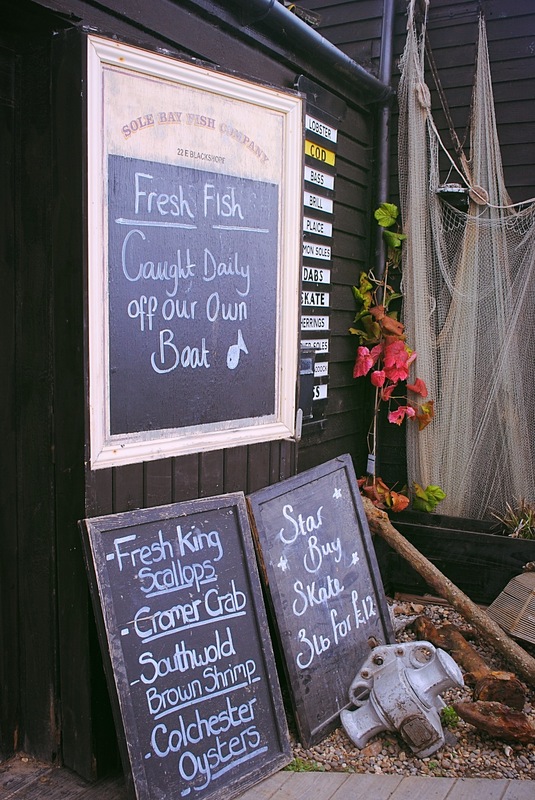 You’re spoilt for choice with places to eat, there’s everything from hearty pubs offering local ales to quaint seaside bistros. 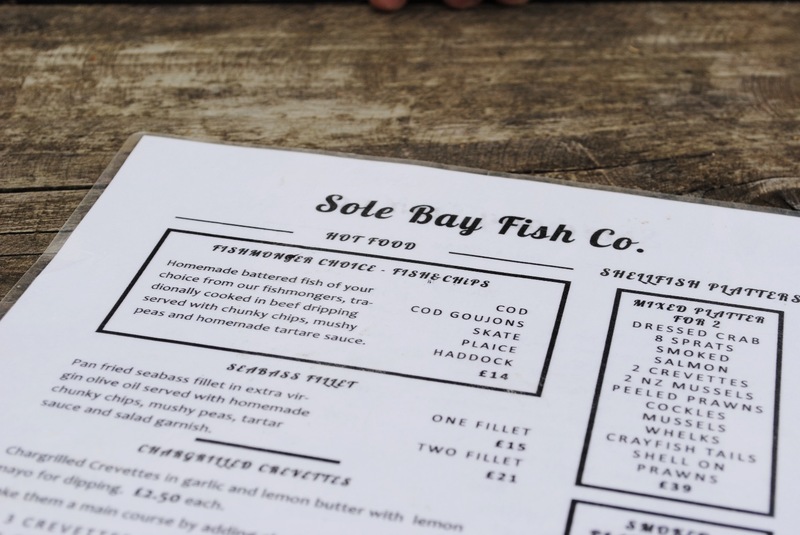 My friend recommended the Sole Bay Fish Co, which is a scenic mile and a half walk up from the pier. I would suggest booking a table, as we had to sit outside – but the day was mild and the outside area is actually really nice! 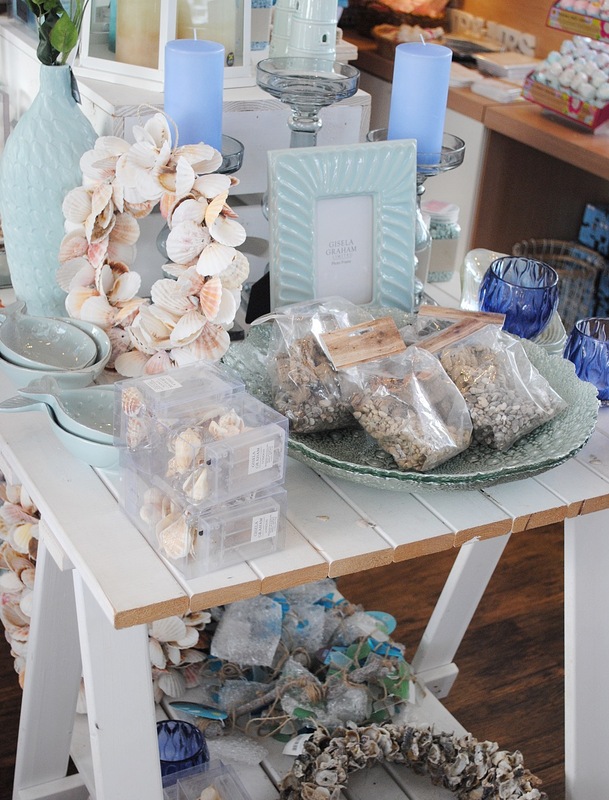 Plus I’m a sucker for alfresco dining, so I couldn’t really complain. 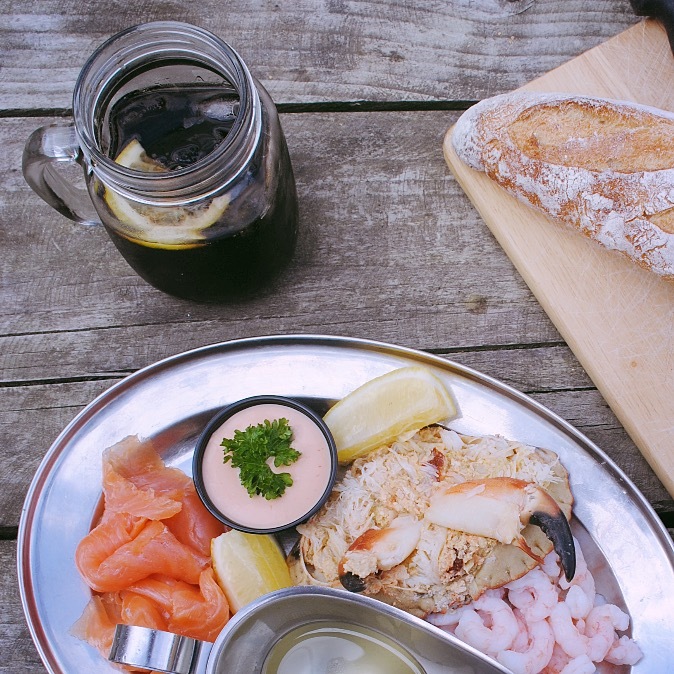 We opted to ‘make our own’ seafood platter with prawns, smoked salmon and a dressed crab. It came with ‘bread and butter’, which actually turned out to be a whole crusty baguette! ALLL THE BLOATING. 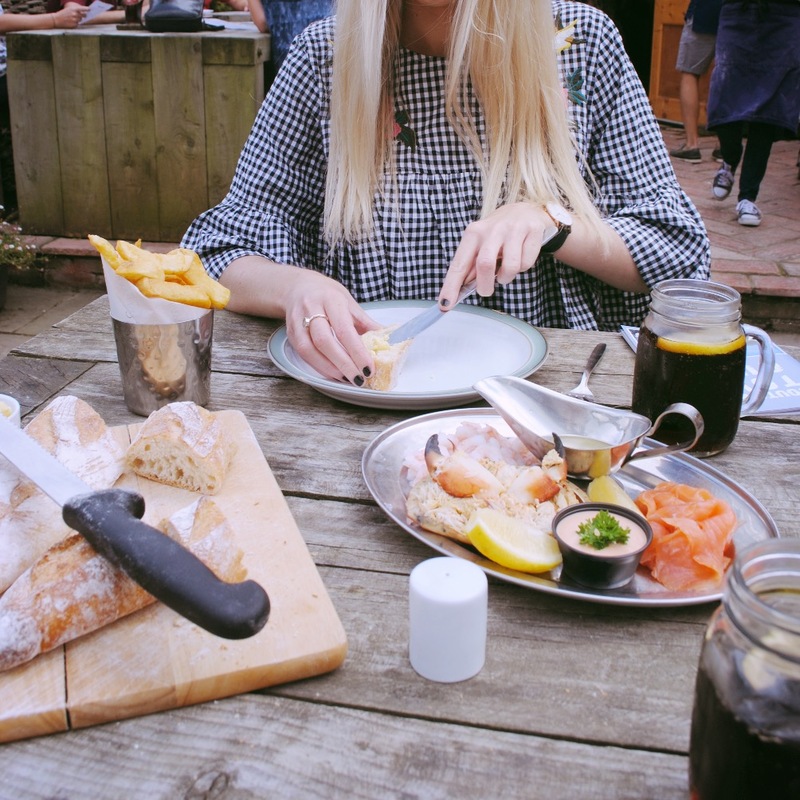 During our stay we also drove out to the Westleton Crown, which is definitely worth a visit; there’s great atmosphere, dreamy interiors and a ruddy good roast on offer on Sundays! 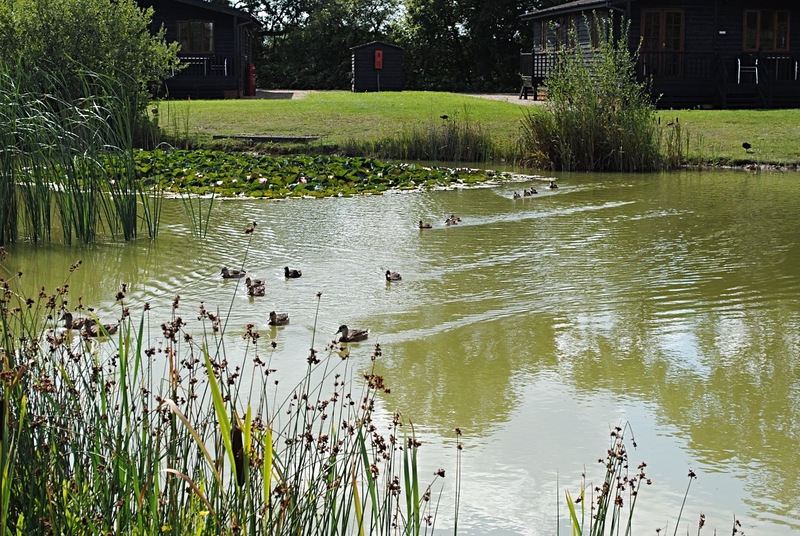 We stayed at High Lodge in Southwold, a small group of holiday lodges (each complete with its own private hot tub) dotted around a picturesque lake. 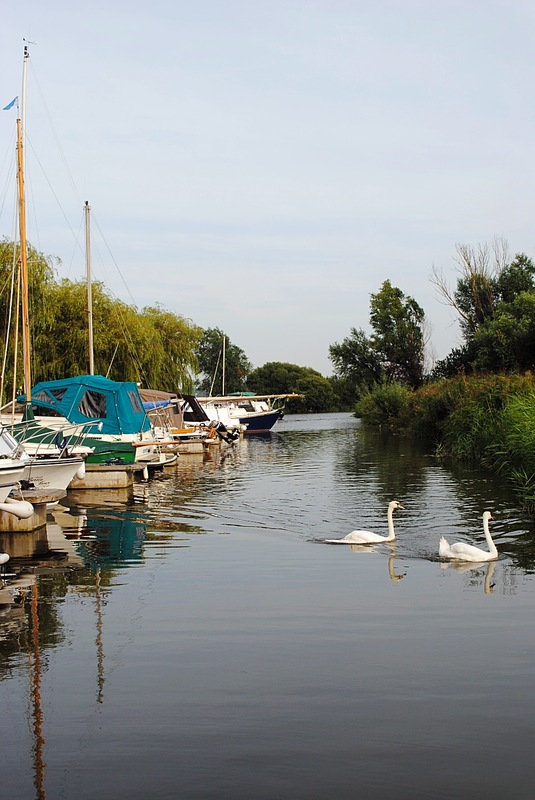 It’s is a great base for exploring – you’re only half an hour drive from the seafront and the Norfolk broads are about 40 minutes away too. If you don’t fancy venturing out, there’s plenty to do on site, from archery to footgolf (and, if you’re the ultimate baller, popping bottles in the hot tub). 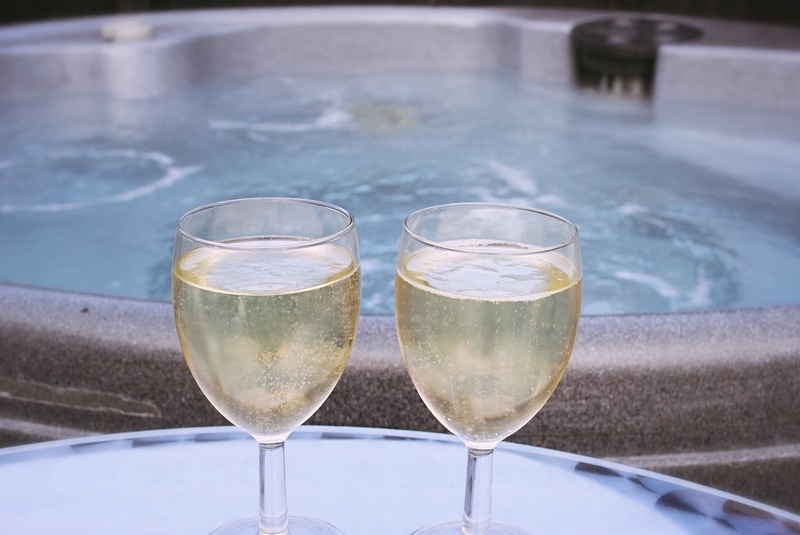 The perfect way to unwind after a long day of exploring! 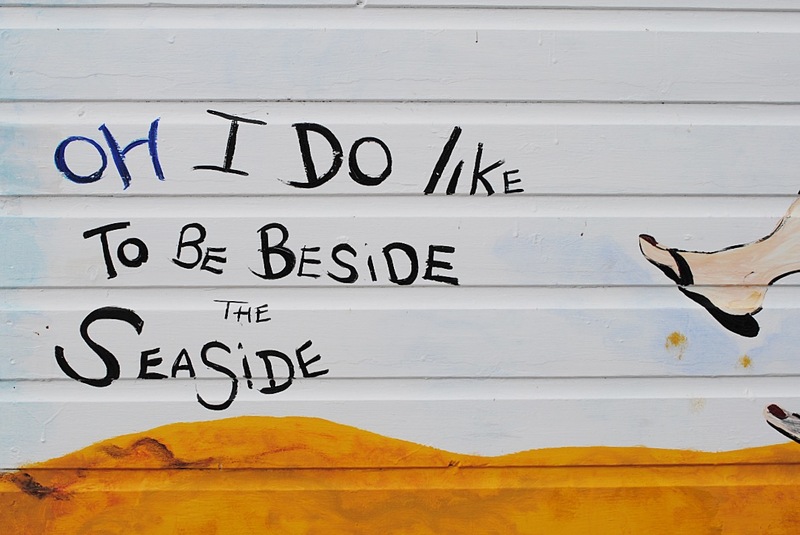 Have you ever been to Southwold?